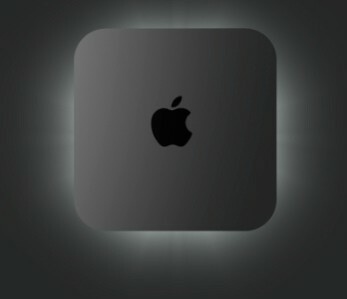 Mac mini mounting madness - iPhone.MY - Daily News On Mac, iPhone, iPads, iPods and more! If you have a new Mac mini that you’d like to mount somewhere, like under a desk or entertainment center, there are two new solutions you can look at. The first, which we received in the last week from NewerTech, is the NuShelf. This mount comes in two versions. One has a single shelf for holding one Mac mini or a Time Capsule. The NuShelf Dual Mount (see photo above) is slightly deeper for holding two Mac minis, two Time Capsules or one of each. The NuShelf is made of clear PETG thermoplastic, with a circular hole in the bottom to hold the newer Mac mini “memory door.” There are also two cutouts in the back to make it easy to reach the SD card slot and power button. The single shelf version is US$39.95, while the Dual Mount is slightly more expensive at $44.95. The NuShelf is predrilled for mounting and includes four screws to finish the job. Unlike some of the metal shelves that are available, NewerTech notes that the plastic NuShelf is transparent to Wi-Fi and Bluetooth signals. The second new Mac mini mount is something very unique. The H-Squared Mini mount ($59.95) replaces the circular rubber door on the bottom of the new Mac minis with a rigid mount that can be mounted on just about any surface. Put the Mac mini on a wall, under a desk or on the side of an entertainment system. The Mini mount has a VESA mounting hole pattern, so you could theoretically even mount it on the back of a monitor or VESA-compliant arm. The new Mac minis don’t include a Kensington lock, so H-Squared built in a locking mechanism to keep your mini from walking away. One really cool feature is that for $20 more than the stock version, you can get a backlit model that uses LED lighting to give the mini a white glow. The Mini mount has a metal frame and an ABS shell that replicates the cooling function and RF shielding of the original base that came with the Mac mini. So there you have it, two more ways to put the Mac mini where you want it — out of the way, or plainly visible.